Now that the dust has settled on the complaints regarding the format for next season’s Challenge Tour, lets take a look at the tour and the route to it, Q School. The overall principle is reasonable I guess, in that after the madness that is Q School, we have a pretty good series of events that make up the Challenge Tour. Q School in itself, is made up of around 200 entrants willing to part with £1000 and give up 3 weeks of their lives, in an attempt to earn a ticket to the promised land – The Main Tour! In theory, the event is played in pretty much pro conditions and it could well be this that attracts some who have no real ambition to get on the tour. It seems a shame that the pros who have not made it back on the tour automatically, have to play the likes of these players in their quest to get back on the tour for next season. I would have the ‘pros’ seeded to the second round at least. Eventually though we end up with 12 tickets allocated from the 3 events and an Order of Merit for those that have just missed out. The Order of Merit is important as in itself it can be a route to the main tour (almost) as it is used to top up the main tour entries to the required 128. Most events on the main tour do need to look at the Order of Merit to make up the 128. And this is now where the Challenge Tour comes in. Last season saw the start of the new Challenge Tour but, for various reasons, it didn’t prove quite as popular as first imagined. The top 64 on the Q School Order of Merit had the right to enter the Challenge Tour events, and if they didn’t all take up the offer, then places would be offered further down the Order of Merit to make up the 64. There were, however, occasions where despite every single player who entered Q School being offered a place on the Challenge Tour event, and wildcards being added, the entries were still below the 64. If you could put together a list of top amateurs, say top 64ish, get a small entry fee off each, say £50, have the organiser top the prize fund up to say £10,000, offer decent prize money from the second round, say £125 for the losers and offer a really good first prize, say £2000, what could you call the event? For just £50, players could enter an event where the prize pot was topped up by the organisers to £10,000 with £2000 for the winner! Prize money aside, the ranking points were what really mattered. At the end of the 10 event tour, the 2 top ranked players would be rewarded with a 2-year main tour card. 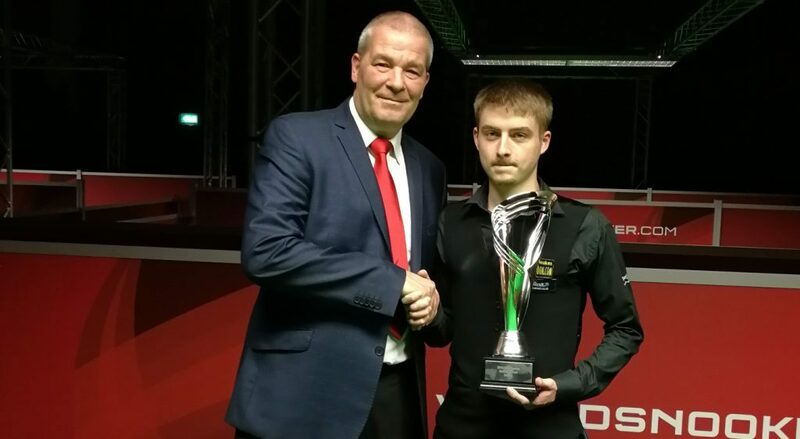 The 2018/19 Challenge Tour saw Brandon Sargeant earn a place on the main tour for the first time and David Grace his return to the main tour. There was of course some criticism of the format of the tour in that many were disheartened after just a few events when the realised they had little chance of making the top 2. Why they should stop then entering events of the type that they were crying out for normally is beyond me. No doubt the same players will be entering Q School again in the hope that they find instant fame. The Challenge Tour and Q School should be seen as carefully placed stepping stones rather than super springy springboards from which anyone can bounce to the dizzy heights of professional snooker. 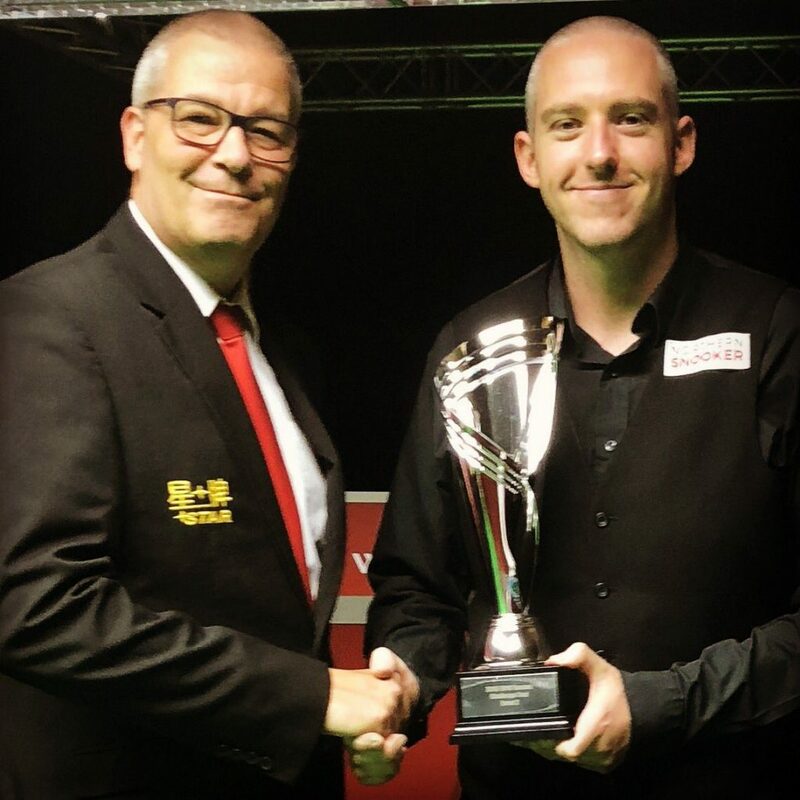 World Snooker and the WPBSA announced that after the criticism of the main tour qualification format, they were making some changes and were introducing the much asked for playoffs. They did, however, make what Mark Allen described as a “boo boo” in removing the reward of main tour cards for the top-ranked players. Instead, they said the winners of each event would go into a 16 man playoff along with as many as necessary from the rankings to make up the 16. Barry Hearn agreed there were mistakes made and stepped in to help make further changes. So do I. Dumb decision so let me review with my colleagues. Now, the format is that the top-ranked player will earn a 2-year main tour card and the next 8 will go into the playoffs for the second card. Will the next Challenge Tour prove more popular as a result of these changes? Will the amateurs realise that these events are just about the best events of the season? Only time will tell.